It’s March 1st, well, the eve of March 1st, so I’m guessing a handful of you kicked off Whole 30 today? Am I right? I’ll confess. 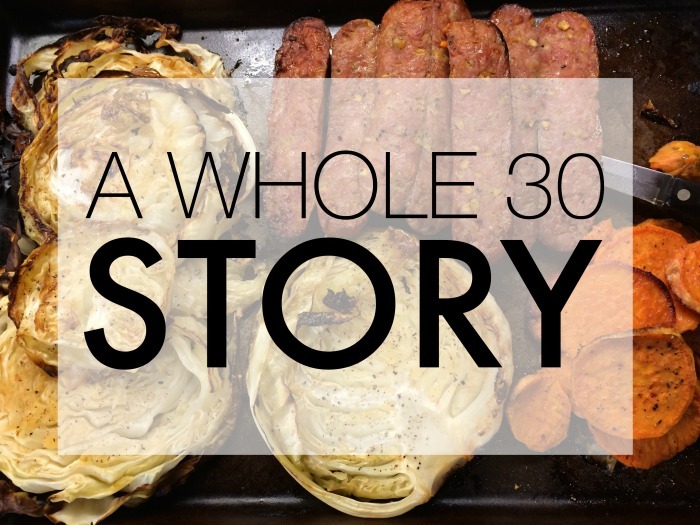 I’ve been there and done that – the excitement and meal prep and all the good intentions because I truly believe Whole 30 is awesome. Sadly, I fell off that bandwagon and still haven’t worked up the courage to tell that story, but the good news is, my Whole 30 better half … the bestie Leah, is a Whole 30 champ and she’s got quite the encouraging story to share with you all! Hello. My name is Leah and I’m an addict. A diet addict. Funny…but not really. All this to say, when Gretchen suggested we try the WHOLE30 I was quick to hop on that bandwagon. *It should be said that Gretchen did/does not need/want to lose weight. She wanted to do this to be healthier, happier, and set a good example for her family bla, bla, bla. Me? I wanted to lose weight. That is all. STEP 3: Flip to the LIST: IE: the foods you can and cannot eat while on said diet (aka: the foods I will binge on for the next couple of days until I start just to get my last fill of them. EVER). STEP 4: Look at the center insert color pages of pretty pictures and food/meals that I will be enjoying. STEP 5: Done and Done. This time, oddly enough…I decided to start at the very beginning (a very good place to start, I’ve heard). In addition to the RULES there was the REASONS and the “what to expects” along with the science behind it all. I found all of the information kind of exciting. Knowing ahead of time that on Day 4 I would want to KILL ALL THINGS thanks to my sugar dragon not being fed was oddly comforting. Knowing that refined carbs promote inflammation and other foods can cause a “leaky gut” made me understand why they were a NO NO. 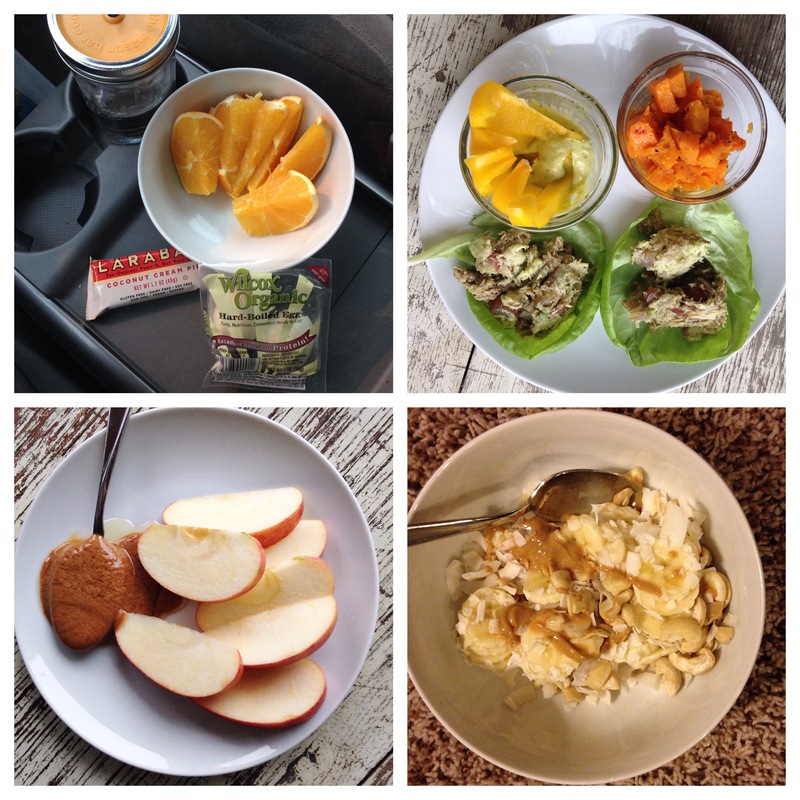 WHOLE 30: What do you eat? Well, lots and lots actually. Meat/Eggs/Protein, healthy fats, a little fruit, and veggies. LOTS OF VEGGIES. To make a 30 day story a little shorter, some really awesome and surprising stuff happened. Here’s a list (because that’s how I roll). I kicked sugar in the Ars! Most diets have you limit your sugar intake (obviously). However, WHOLE 30 does not allow ANY sugar in ANYTHING (and it’s in EVERYTHING, by the way). In addition, no artificial sweeteners. This pissed me off a lot at first. “Why the heck can’t I have a little stevia in my coffee for the love of Jason Derulo?” But when I read that your body processes sugar AND artificial sweeteners (calories or not) exactly the same and it just feeds that sugar craving, I got on board. And I’m so glad I did. It turns out I’ve never been truly off sugar and it’s a pretty good place to be. My skin looks kinda glowy. I’m one of those lucky people who is getting my first signs of fine lines while I still have the privilege of enjoying breakouts like a 14 year old boy. Within a week my skin totally cleared up. My face just looks healthy and even a little glowing (if I do say so myself). I got excited about cooking. Once I got over the initial shock (and anger) that sugar, grains, soy and diary are in every flipping prepared item you can buy, I started to enjoy meal planning and making yummy food out of real, whole, good for me foods. My family got on board. I purposely didn’t try to transform my husband and son’s diets. I figured it would be hard enough for me to get through these 30 days on my own without having to hear complaints about no cheese and too much broccoli. But after a week or so of making really pretty and healthy meals for myself and plopping oven pizza down on a plate for the men in my life they began to get a little jealous. I believe the exact quote from my husband was, “You know, you’re kind of hoarding all the healthy food. We all need to eat healthier.” And thus began the transition of my family to eating whole, nutritious, balanced meals. It was something I didn’t see coming. Not at all. I slept like a log. I’ve always been a pretty good sleeper. I’m thankful for that. But I often stay up too late for the trade-off of watching Grey’s Anatomy, Nashville, Celebrity Apprentice and Real World (yes. I am an exceptionally deep person when it comes to TV. I know). I found myself itching to go to bed at a more reasonable hour because I directly felt the positive effects of a good night sleep the next day. I lost things. Inches from all over my body (I measured EVERYTHING. Even lost an inch from my neck, people!). And pounds (nine to be exact). All this was done while eating a lot and I was never hungry. *NOTICE how my main reason for starting WHOLE 30 (losing weight) was at the bottom of my list of awesome things? I’m very happy that I’m a slimmer version of myself and hope to continue to slowly lose weight and inches as I continue a mostly WHOLE 30 lifestyle…but it was just a small part of why this way of eating….this way of life really changed me. I feel a little inept giving any sort of advice on weight loss/whole 30/healthy living. I do think, however, that there are a lot of people out there like me: a life-long dieter, weight loser/gainer. I’m sitting here at my computer with a desk full of Valentine’s candy (good stuff…like Russell Stover and Ghirardelli) and I haven’t had one bite…and it’s not really due to self-control. The stuff isn’t even calling my name. This is new. And weird. And crazy. And wonderful.